Active Isolated Stretching and Strengthening therapy is highly beneficial for musculoskeletal dysfunction and disorders of the nervous system. As well as mobilizing unhealthy spinal structures. This technique is more effective than any other technique we know about. AIS has a unique approach of lengthening and unwinding muscles. When a person is suffering from a musculoskeletal issue, the muscles are shortened, contracted, or twisted. Massage, chiropractic, and acupuncture may also be helpful, but not to the same degree as AIS. In deep tissue massage, the kneading motion on twisted muscles is soothing, but the relief is often short-lived because kneading does not optimally return a muscle to its normal position and length. Chiropractic can be helpful, but adjustments will be more productive after Active Isolated Stretching therapy. First lengthen all the muscles, then see how much better the chiropractic adjustment feels. Similarly, acupuncture treatment will be much more effective after AIS therapy. By lengthening the muscles, the acupuncture needles are able to follow a clearer pathway. lengthening muscles, nourishing joints, increasing range of motion, improving circulation, and reducing inflammation. Since these are all the essentials issues that has to be addressed in musculoskeletal problems, AIS is recognized as an excellent method in reducing pain. Muscles can become over strained and overworked by repetitive motion, injury, weakness, overuse, or aging. If a problematic muscle is not treated properly, it can stay contracted for years, leading to chronic pain. Strained muscles will inhibit movement. 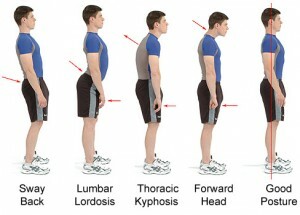 Additionally, muscles stabilize the frame for sitting or standing. Therefore, an expert in muscles will help a client to have improved movement, improved body function, higher energy levels, and living a more active lifestyle. You do not have to have chronic pain to get benefit from an AIS treatment. Your age is mirrored by the flexibility in your spine. It is common for people who receive AIS treatment to feel twenty years younger. if you are not sitting, standing, working, playing, and living in a pain free state, don’t give up, there’s a lot that can be done.